Acne is a common long term skin disorder characterized by pimples on the face, chest, back and shoulders. Acne develops when the skin pores become clogged with oil, dead skin cells and bacteria causing swelling and inflammation. There are many factors that may cause acne such as genetics, hormones, infections, but also stress, diet, environmental factors and medications. 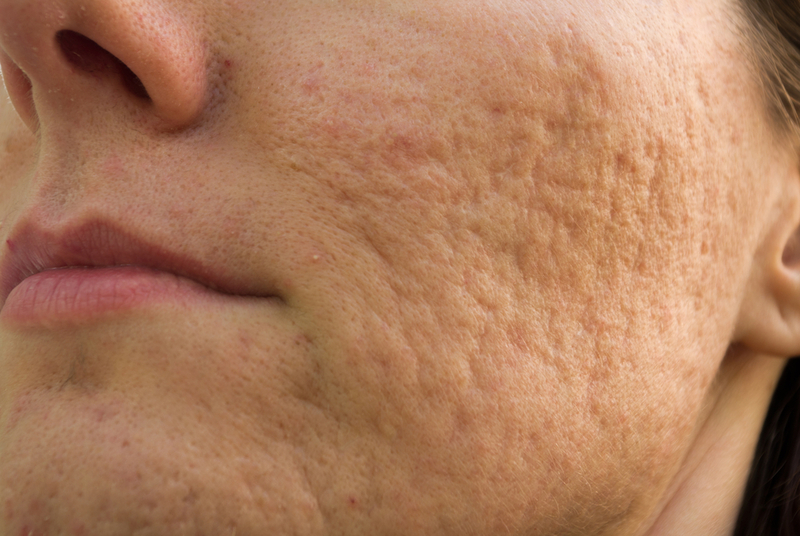 Acne left untreated will most likely lead to excessive scarring which is why we recommend seeing a doctor immediately! We can treat even the worst acne with oral and topical medications, skin hygiene and a healthy diet. We also offer cosmetic solutions for acne scars to bring your self confidence back. A non-surgical, minimally invasive procedure used to rejuvenate skin by stimulating production of collagen and elastin (collagen gives your skin strength and assists with healing while elastin keeps it firm and tight). PRP Facelift makes a big difference when it comes to stretch marks, acne scars and wrinkles. It leaves your skin looking younger and more beautiful than ever! Acids that remove the top layer of skin to improve acne, sun damage, clogged pores and also to help eliminate the appearance of scars. The new regenerated skin is usually a lot smoother than the old one. Click here to learn more. Help significantly reduce redness, brighten skin, get rid of dark spots and create a more even surface on your skin. A skin care technique that removes the superficial layer of dry, dead skin cells. It's used to improve texture and treat not only scarring but also discoloration, sun damage and stretch marks. Click here to learn more. Cosmetic treatments used to smooth wrinkles or scars. The doctor will inject collagen or fat into the damaged area, that will puff up the skin underneath the scar to help smooth it out. Please keep in mind that treatment of acne or acne scars may take up to several weeks or even months, depending on how severe your acne is and on the depth of the scarring. Recent breakthroughs in cosmetic medicine have had successful results improving the appearance of acne scars. Procedures such as PRP Facelift, Microneedling, PRP injections, Microdermabrasion, and Chemical Peels result in healthier, smoother skin. Using appropriate skin care products will result in ongoing improvement in the way your skin looks. Schedule your treatment today to become a more confident New You.